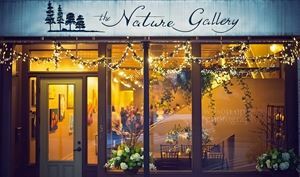 he Nature Gallery is an art gallery plus wellness and self-enrichment studio. We showcase nature-inspired artwork by local and regional artists and offer yoga instruction, massage therapy, and pottery classes. Host your next event in a lovely, sophisticated setting located in the heart of historic downtown Dothan, AL. The Nature Gallery is available for private functions, including weddings, receptions, and cocktail parties. Call *NOT DISPLAYED* for availability.